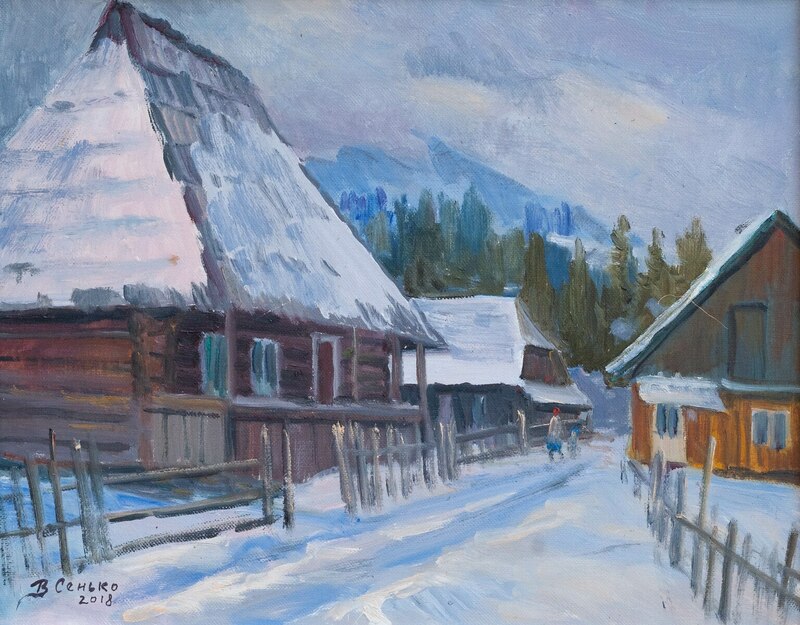 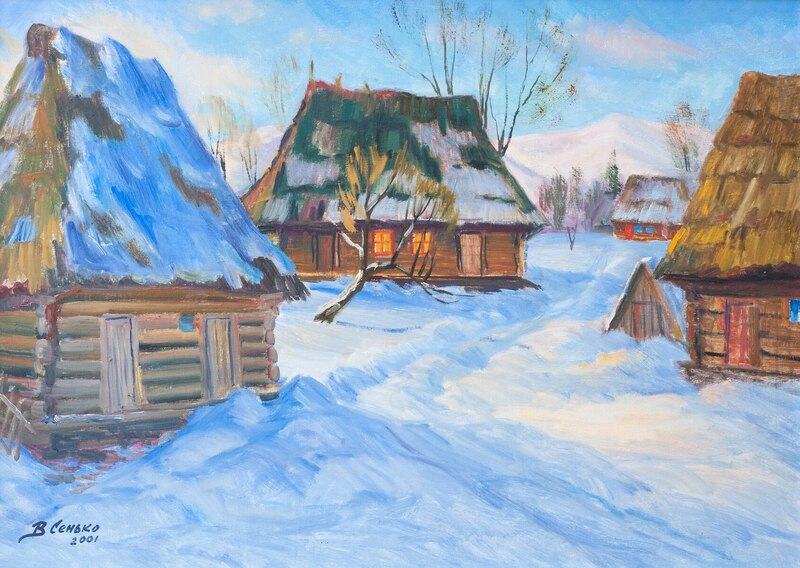 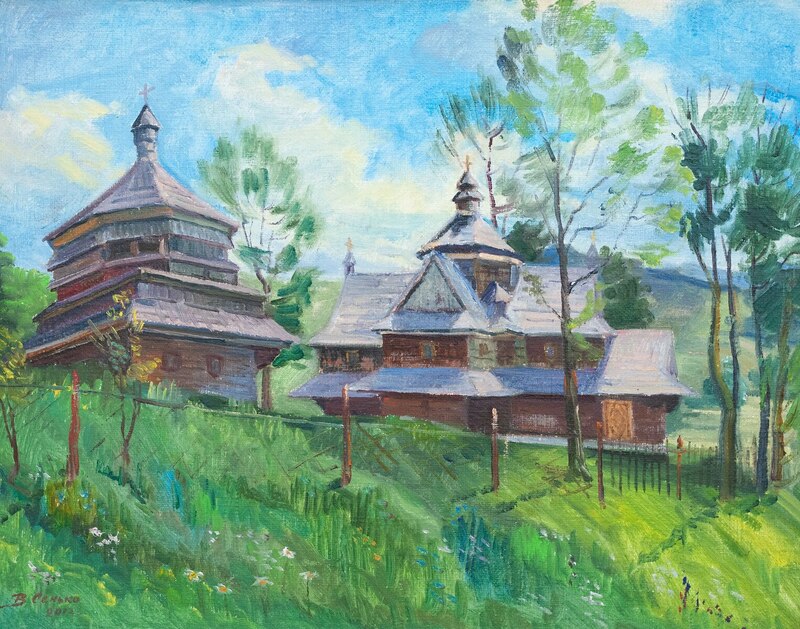 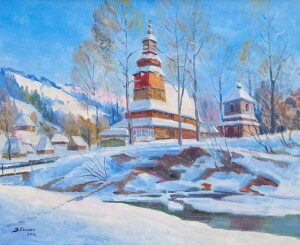 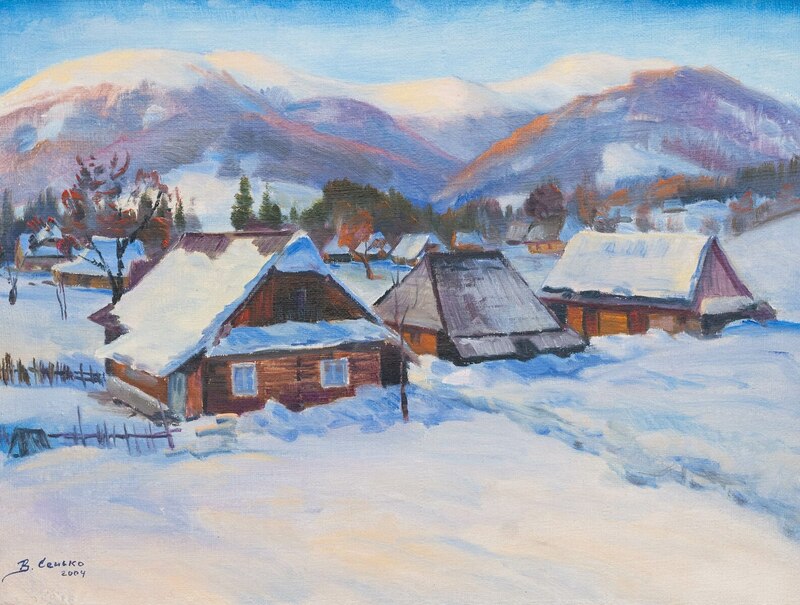 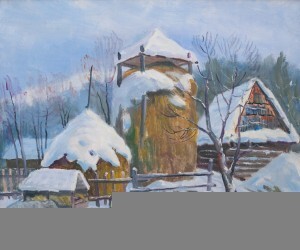 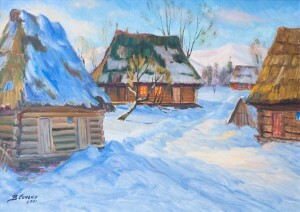 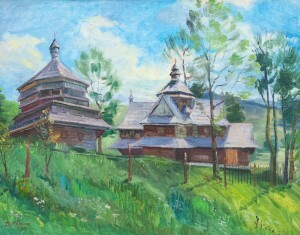 On 11 March 2019 in the Transcarpathian Regional Museum of Folk Architecture and Life it was opened the personal exhibition of an amateur artist, a member of the Union of Artists of Mizhhiria region Vasyl Senko. 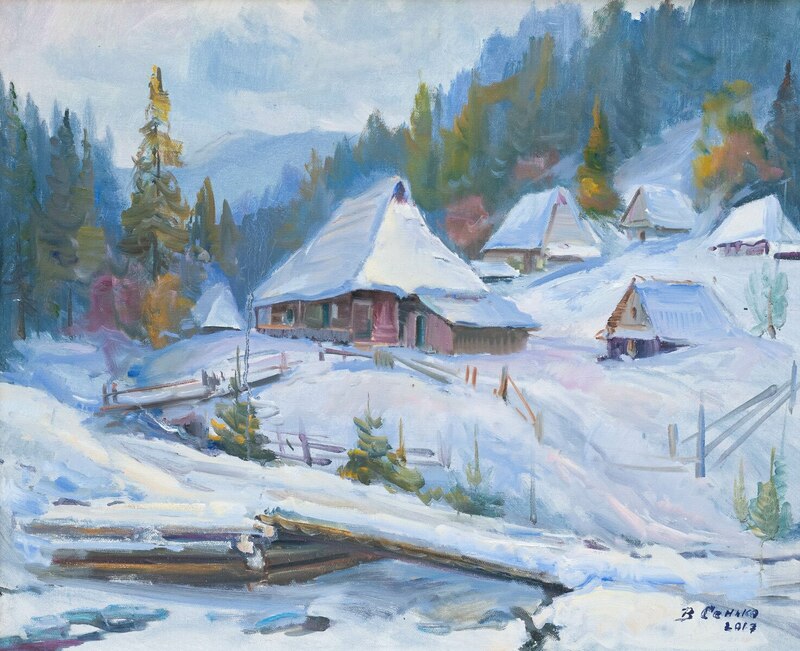 The artist was born on 22 November 1941 in Kelechyn village, Mizhhiria district, Transcarpathia. 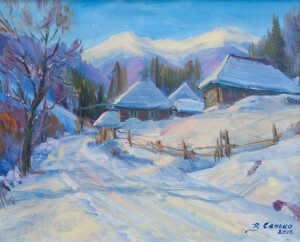 As he recalls, he began to draw before he spoke well, but he failed to join an art school back in 1959. 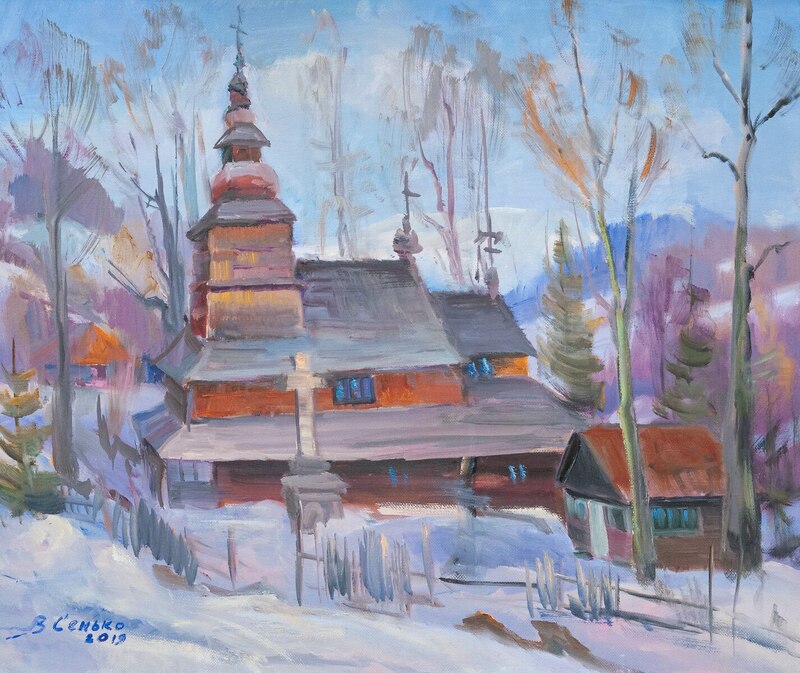 Thus he studied at the Faculty of Mathematics of the Uzhhorod State University, then worked as a teacher of mathematics at Izkivska Secondary School, for a long time he headed the Teaching staff of this school (before retirement in 1994). 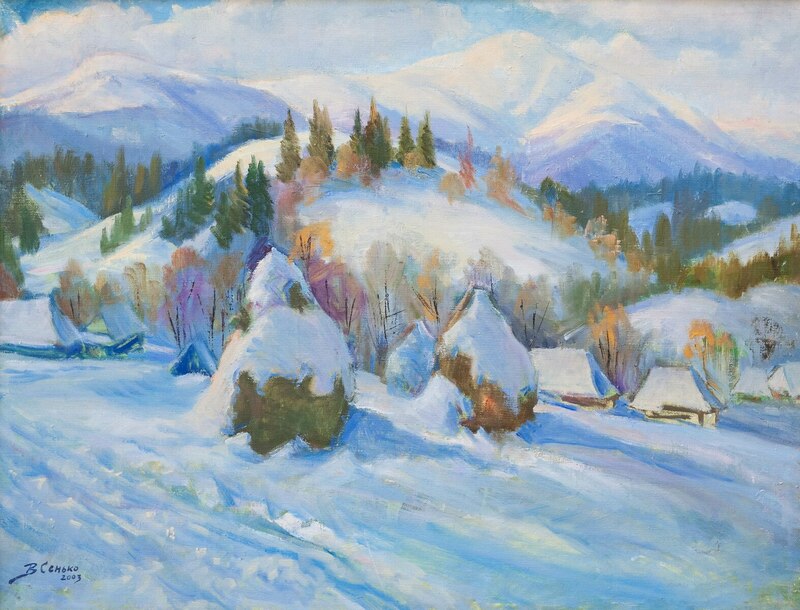 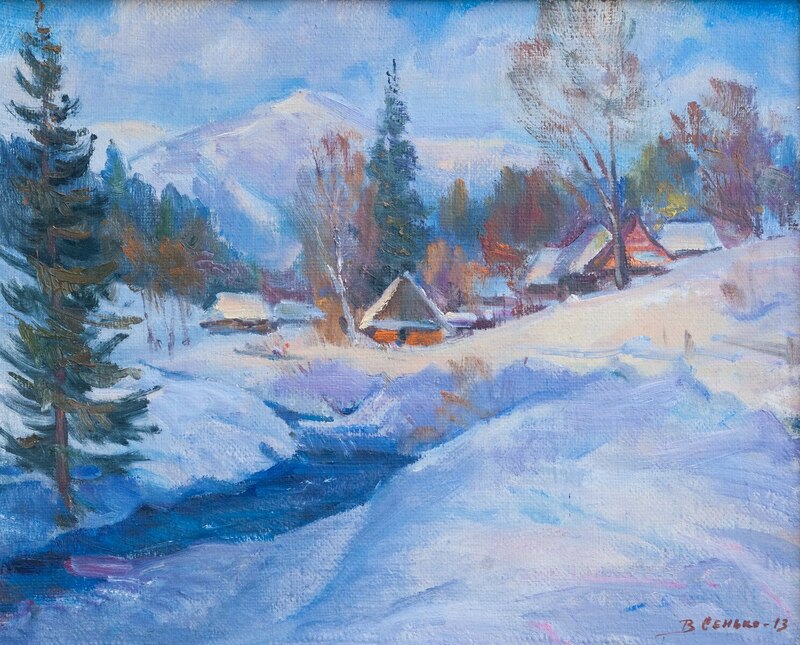 However, in all his free time, as he says, with the help of oil paints and a brush he transferred the beauty of Verkhovyna to the canvas. Participant in numerous exhibitions in his native region, Uzhhorod, and Kyiv. 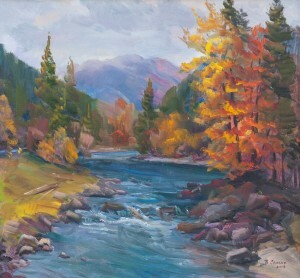 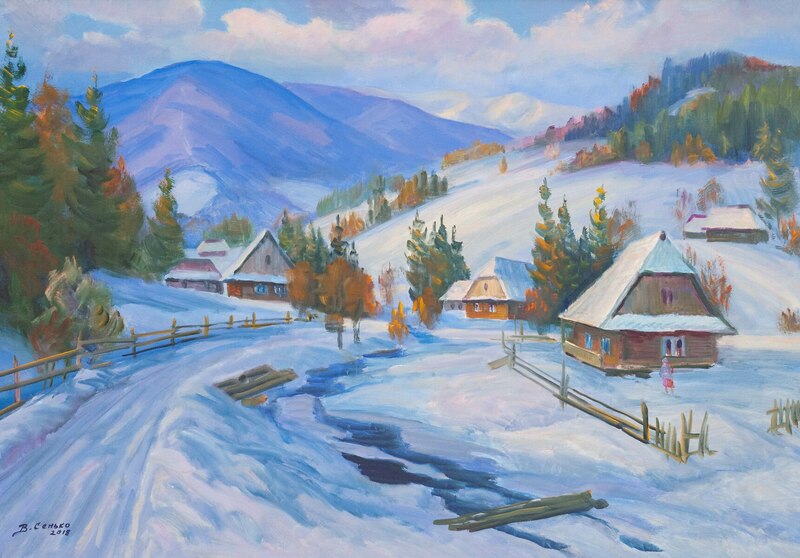 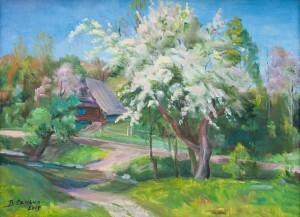 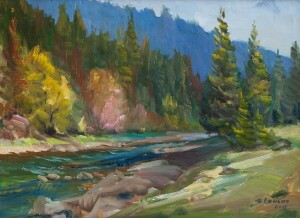 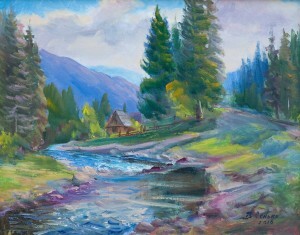 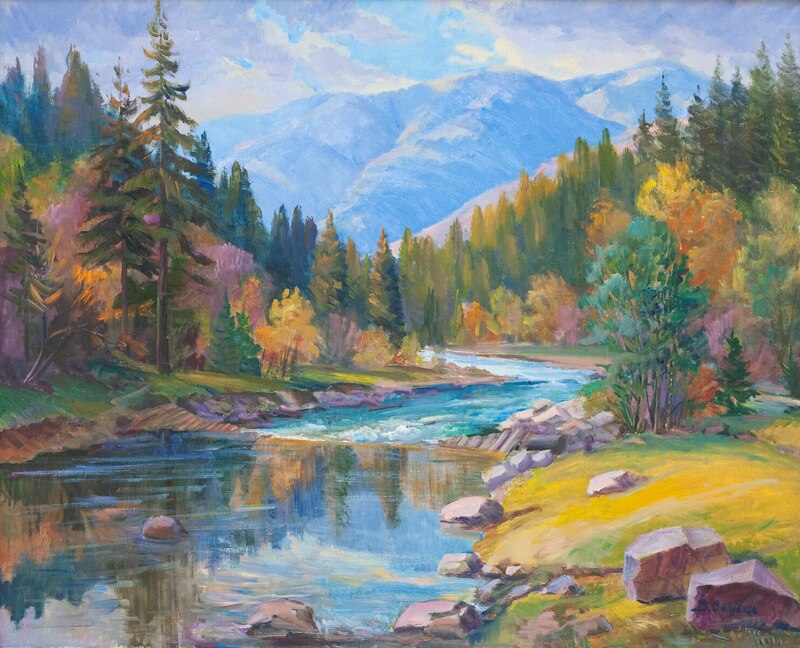 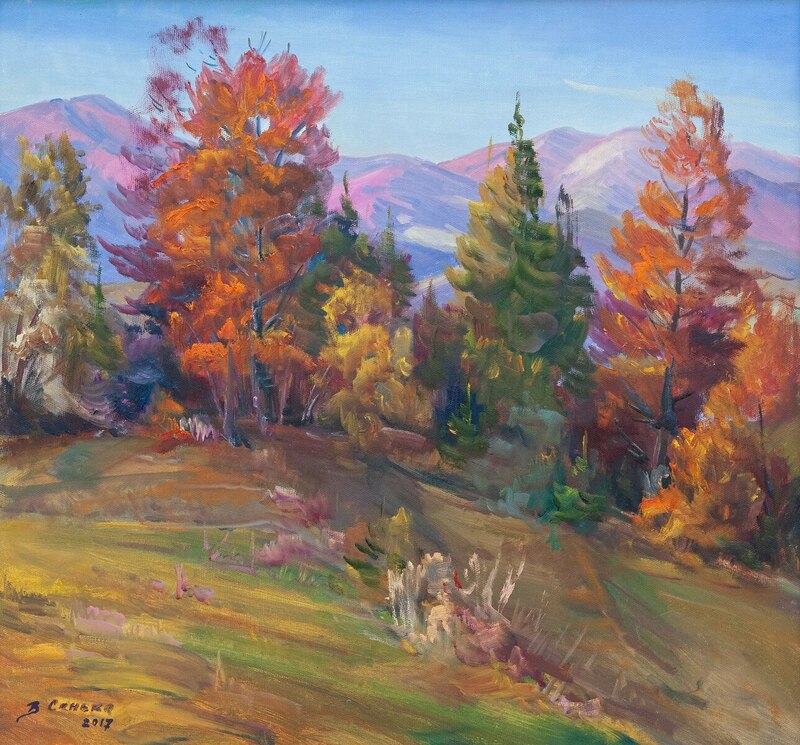 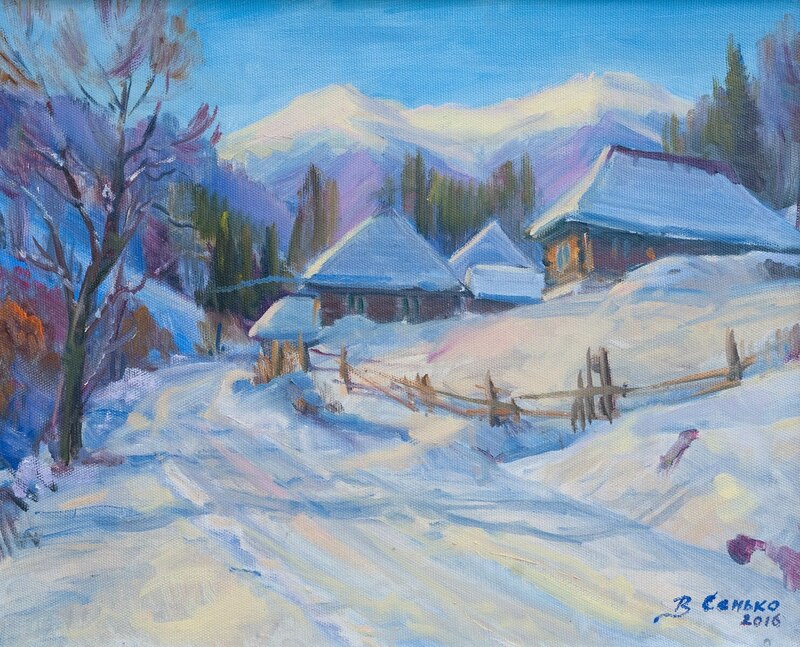 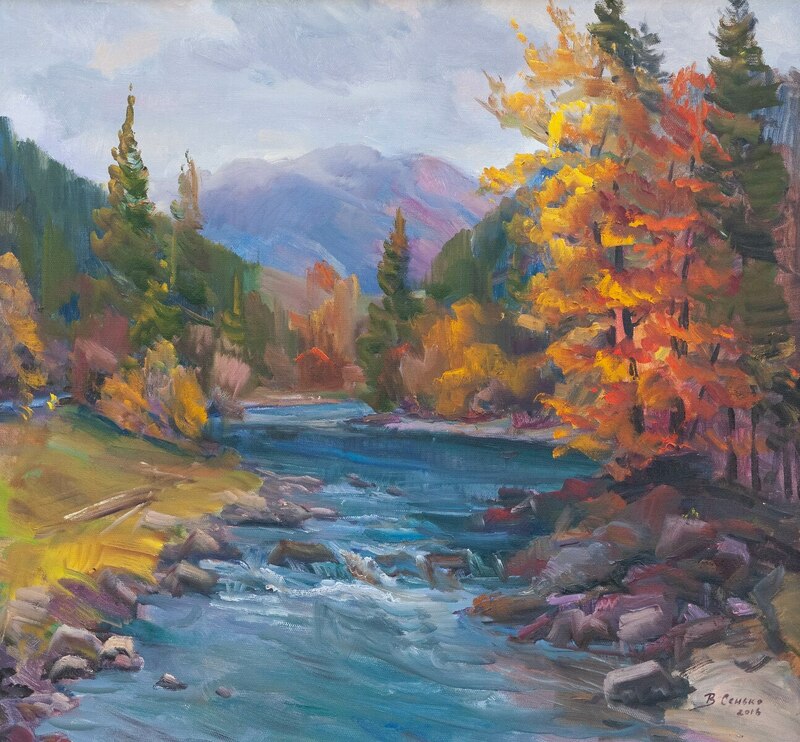 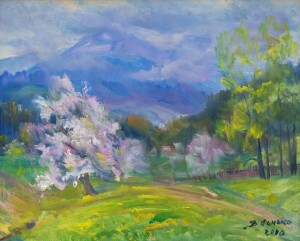 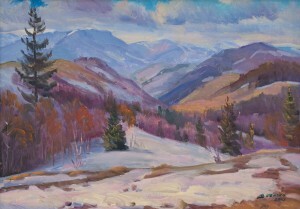 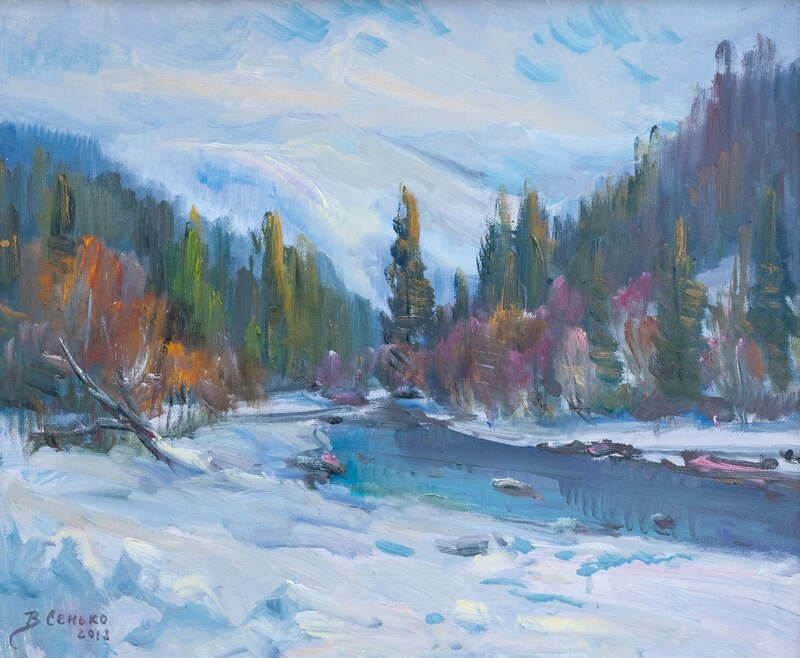 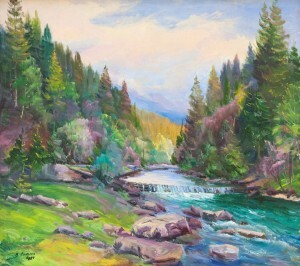 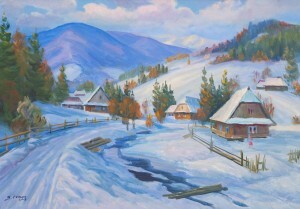 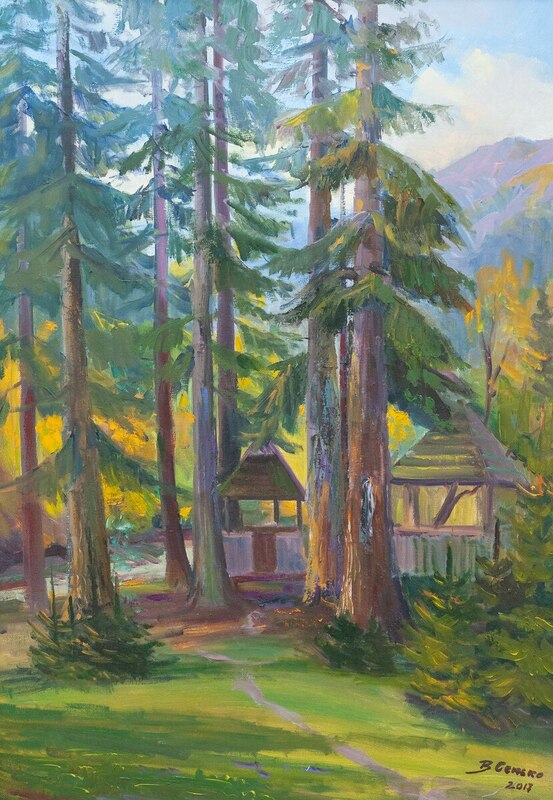 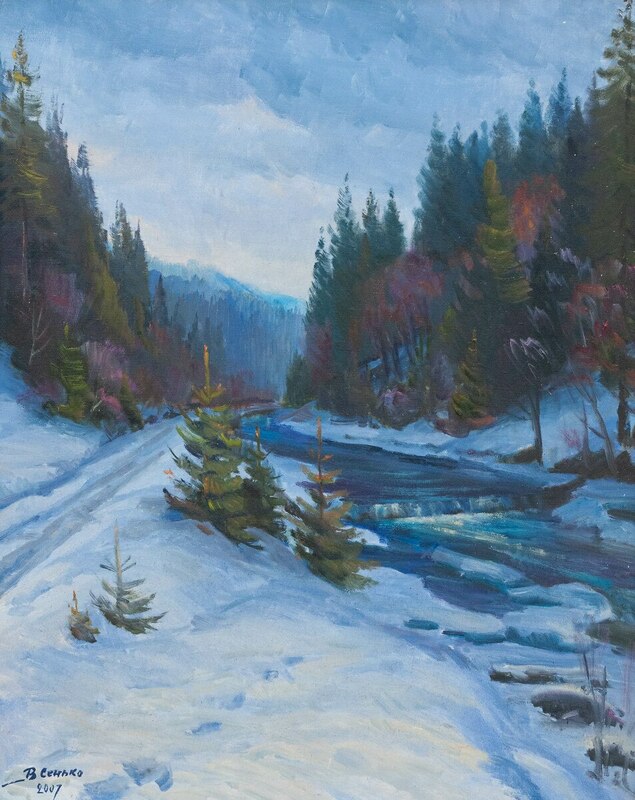 An active participant of almost all plein airs, organized by the artistic union “Carpathian colours” in the Mizhhiria, Rakhiv, Velykyi Bereznyi, and Svaliava regions. 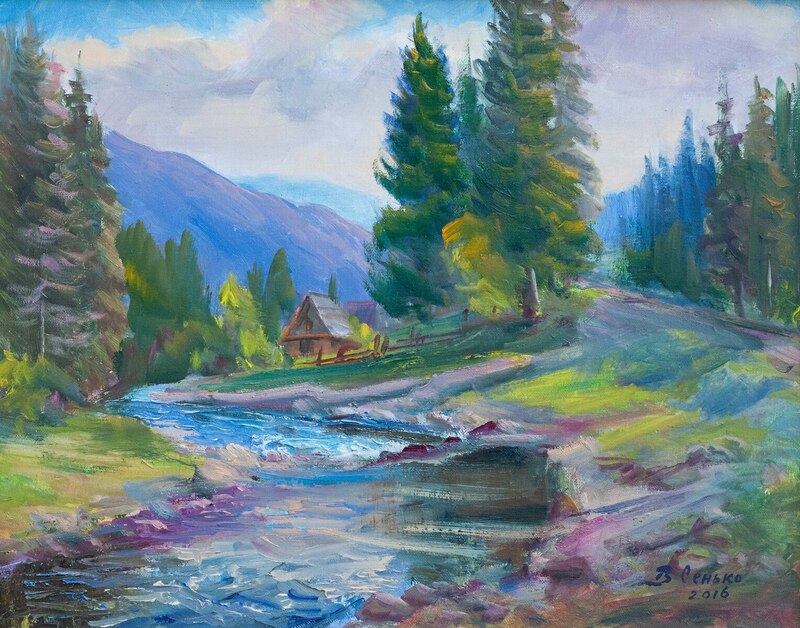 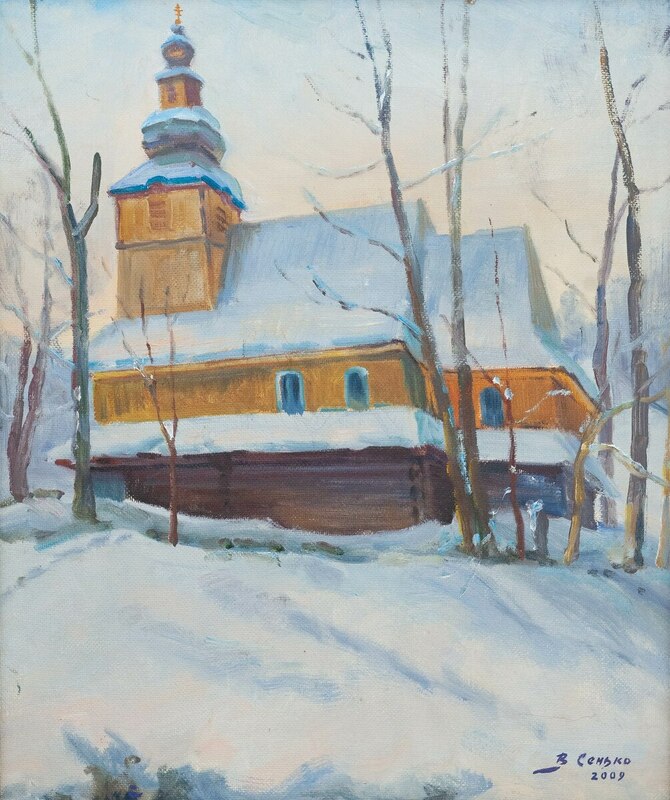 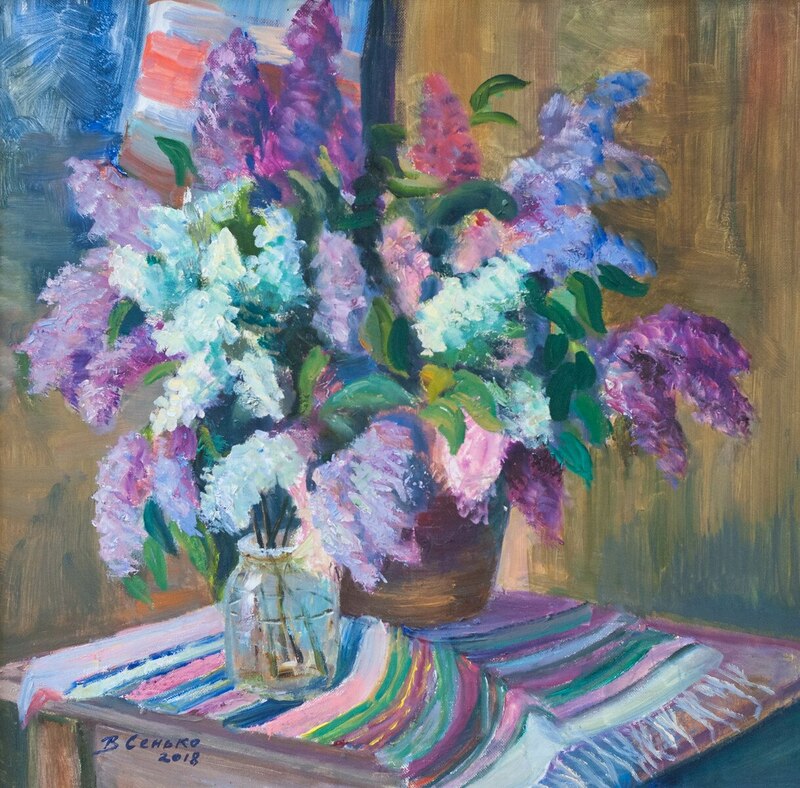 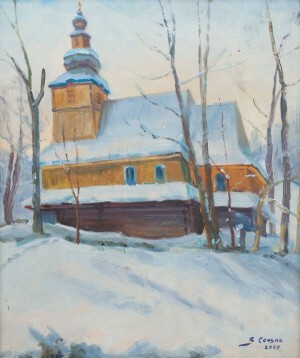 The artist's paintings are stored in collections of art galleries in Kropyvnytskyi and Mukachevo, in private collections in Ukraine, Russia, Armenia, Poland, Slovakia, Czech Republic, Hungary, the Netherlands, the Baltic States, the USA, and Canada. 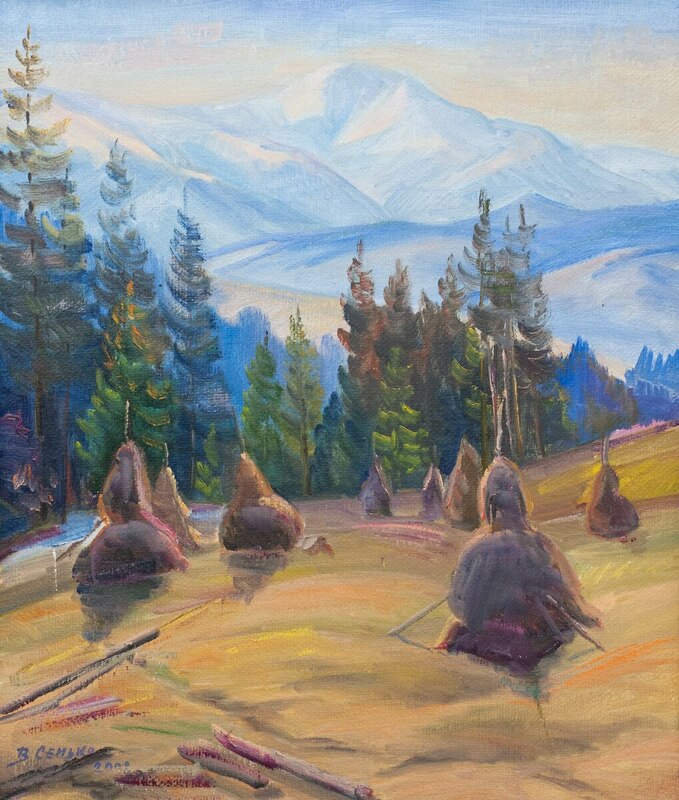 The exposition, presented by Vasyl Senko in Uzhhorod these days, is titled “Carpathian Colours”. 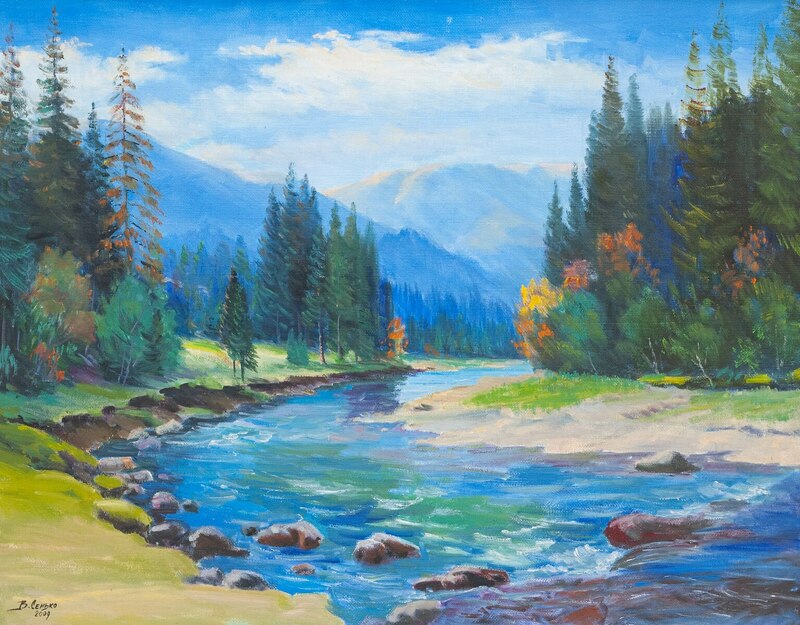 The artist presented at the discretion of the audience and art admirers almost four dozen canvases written over the past ten years. 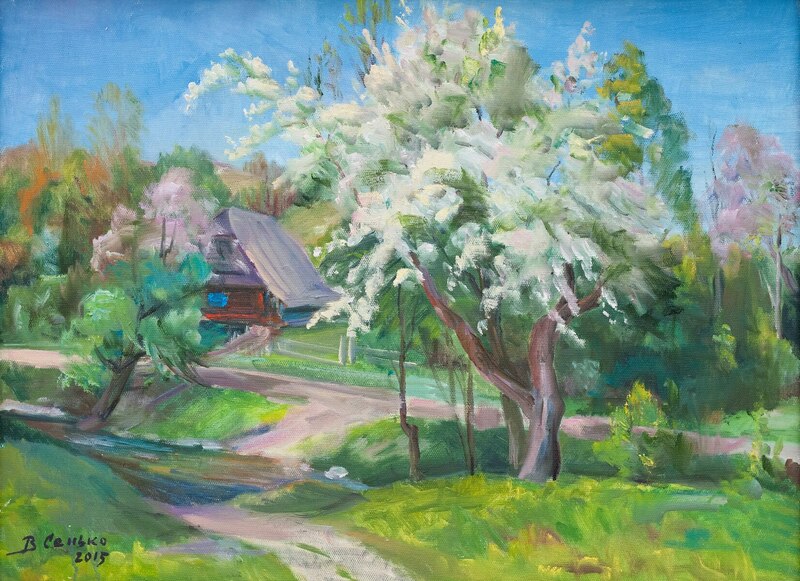 He tried to select the most recent because he feels that in recent years the work turns out more skilful, well written out. 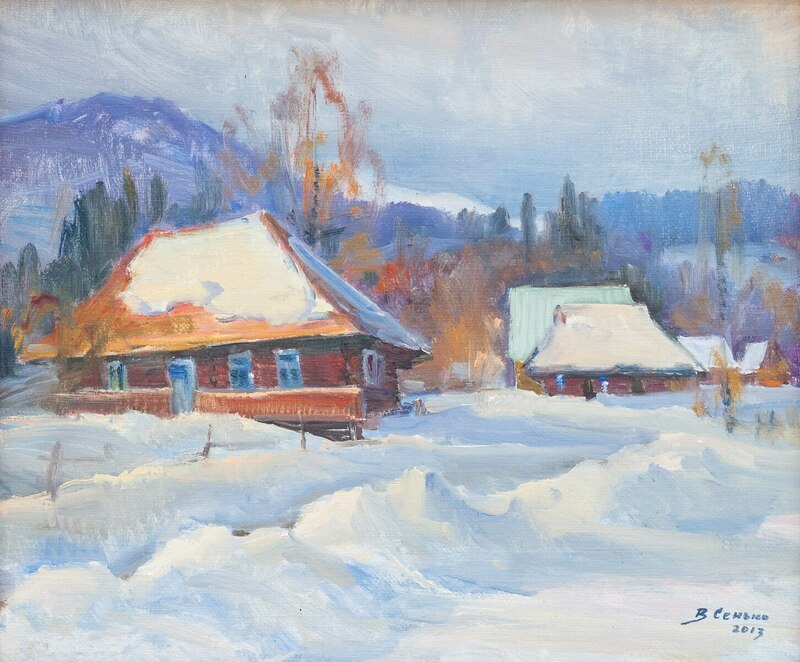 He is extremely grateful to his close friend, painter, and People’s artist of Ukraine Vasyl Svaliavchyk, who helped the author in the preparation of works and in the arrangement of the exposition. 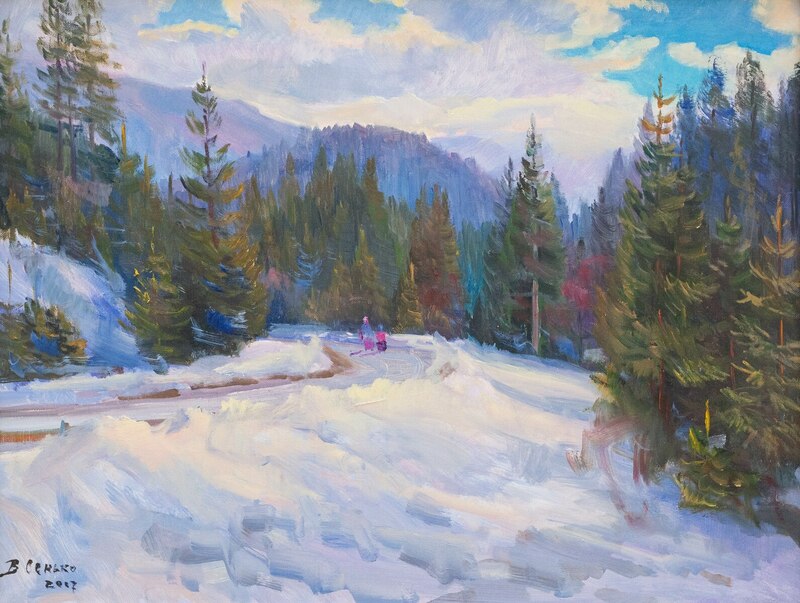 With the latter, they have been friends for decades and they go for plein airs every year. 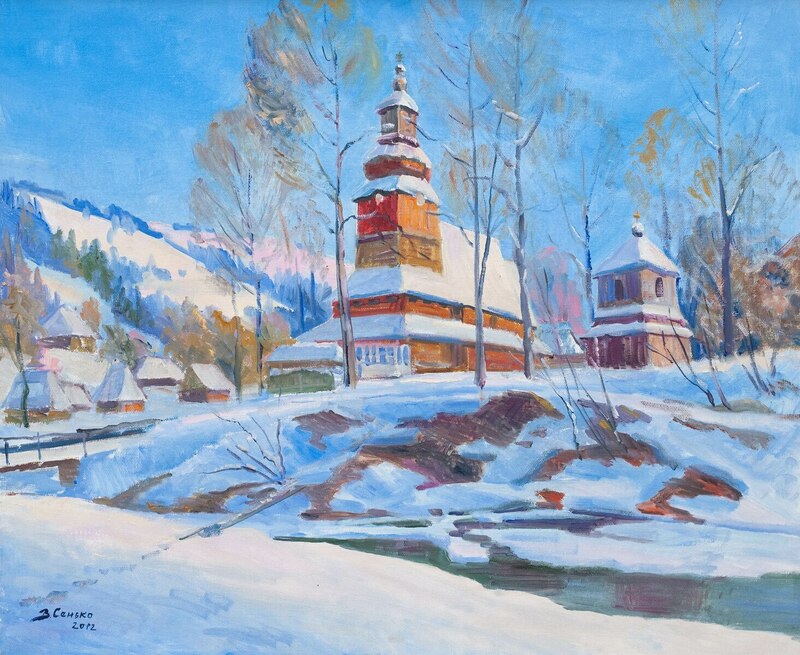 The creativity of the artist from Mizhhiria region is characterized by a realistic manner of writing. 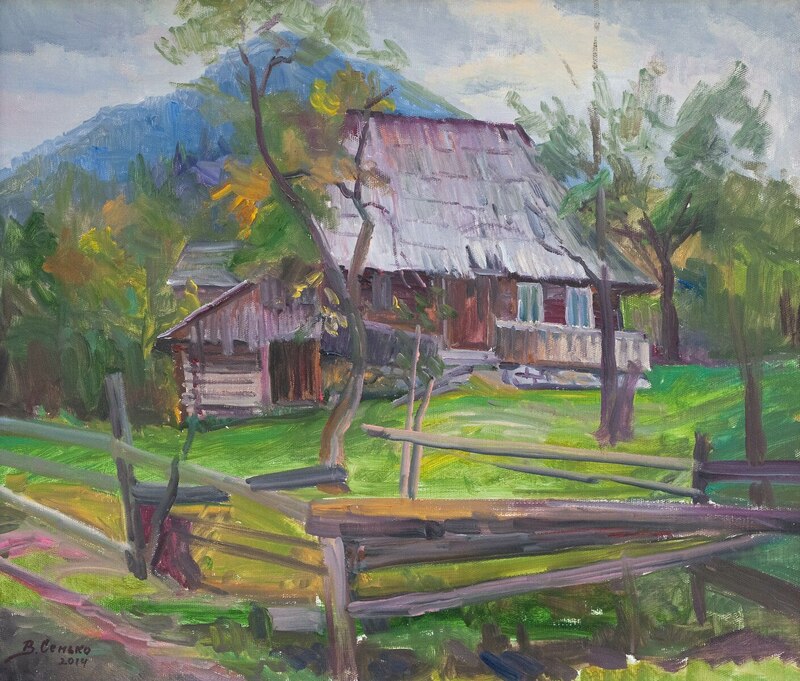 Almost all the works are still lifes, landscapes, sceneries of the Carpathians, and the traditional wooden temple sculpture of his native land – all that the artist never ceases to admire. 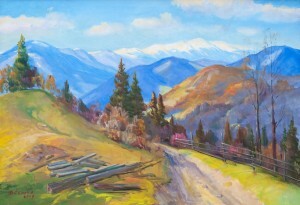 When asked what art means for him, Vasyl Senko, without doubt, replies: “This is my life”. 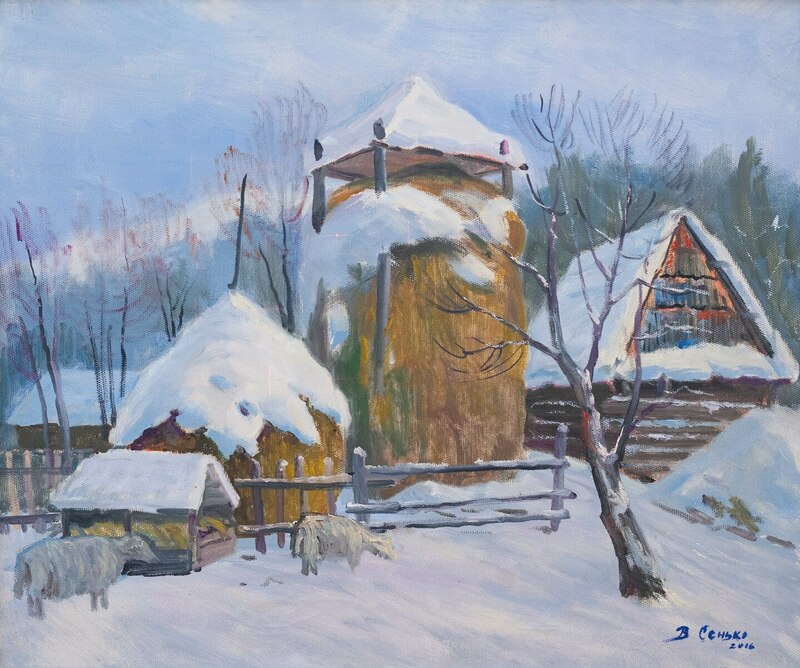 The exhibition of Vasyl Senko will last in the Transcarpathian Regional Museum of Folk Architecture and Life by the end of March.